So, I've been thinking of doing this for a while- putting a spotlight on some of the blogs/other sites I come across while I mindlessly browse for hours on the interwebs. It'll put a spotlight on some maybe not-so-well-known blogs (and maybe some more-well-known blogs...mostly of the crafty or geeky nature), as well as let me have a reference of a particular site that I stumbled across and forgot to bookmark. I iz forgetful sometimez. Ok, I digress. 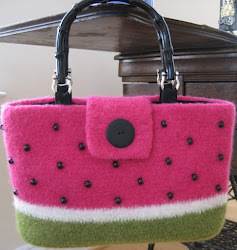 She had her blog (Crafty is Cool) listed in her signature, so I clicked it to see what else she has to offer. AMAZING! 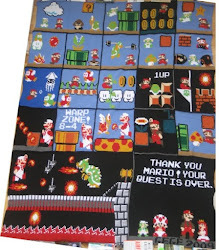 She has some free ami patterns up- including this one for an a-freakin'-dorable power-up mushroom! She has some other awesome toys as well as some patterns on her etsy site. 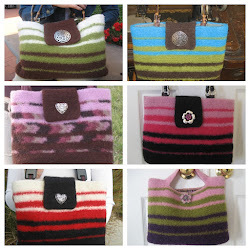 Hopefully she'll be updating her blog with other patterns or pictures of her FO- great stuff Allison! I've been a fan of Allison's stuff when I happened across her Yo Gabba Gabba patterns on Ravelry. My kids love that show! I might have to give Conan a try. Hey thanks!!! Yeah single crochet is a tad tedious, ain't it?! But its all for the cause. Or something like that. I appreciate your feature!! ARE YOU READY FOR A WAR?! ?